Thanks for choosing our site. We can provide you with stair lift quotes for new or reconditioned models in the Birmingham and whole West Midlands region at affordable prices. Our engineers cover the Birmingham area as well as Coventry, Leicester, Wolverhampton, Dudley, Walsall, Nottingham, Leicester, Derby, Stafford and Stoke on Trent. The staircase dimensions, recommended brands and what you or your family member needs will all be discussed in a free stairs assessment at the property. Call us on 0121 371 0123 to speak to one of our friendly team to get started now. Any delays would mean the person needing the lift still has to live downstairs or suffers the pain of using the stairs by climbing up and down without assistance. 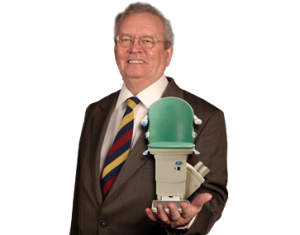 Many of our past local customers have told us that they wish they had got one sorted out sooner to have saved them the bother and distress of navigating their stairwell with ailments like arthritis, MS or Parkinsons. We can arrange for a new lift or even a refurbished second hand model from any of the top British brands. Whether you have heard of Stannah, Acorn or Minivator lifts – all of our partner manufacturers use quality materials and have fully reliable back-up to prevent any after-purchase worries. Supported by a 24 hour 7 days a week service your installation will be covered by a minimum of a years warranty with the option to purchase up to 5 years at an additional cost. All purchases made through us have a lifetime guarantee on the motor, and the majority of any call outs that occur are simply due to the batteries running out. Feel free to answer our 6 questions to see if you might be ready for a lift yet, or if you know fairly certainly one is needed and want a price for a lift quite swiftly, then you can call us or contact us on this page.